The contract was cancelled only 20 days after it was granted. The woman at the heart of a controversy surrounding a cancelled $156 million contract to provide 30 million meals for victims of Hurricane Maria in Puerto Rico says she is being turned into a scapegoat for problems with how FEMA handles contracts with small businesses. House Democrats have asked for the Oversight Committee to subpoena FEMA officials to explain why the contract was issued to a small company called Tribute Contracting, LLC run by Atlanta-based business owner Tiffany Brown — the sole employee listed for that business. Brown and FEMA disagree on why the contract was canceled—the agency says the deliveries were late, she says there were logistical breakdown that caused delays and communication issues with the agency. As Democrats turn a critical eye on the agency’s response to Hurricane Maria, Brown also says she's now been turned into a scapegoat for flaws in FEMA's process for dealing with small business contracts. "I resent the fact that this is turning into an attack, it's an attack on FEMA using me as a vessel. Please don’t use me as a vessel. if you want to attack FEMA or address FEMA’s concerns please attack it from a more intelligent perspective instead of it being about me," Brown said Friday. Democrats on the House Oversight committee are asking for FEMA officials to be subpoenaed to explain why such a large contract was granted to such a small company in the first place. Ranking Member Elijah Cummings and Rep. Stacey Plaskett, who represents the U.S. Virgin Islands, say in a letter to Chairman Trey Gowdy that Tribute has a history of failing to fulfill government contracts and that FEMA officials should have considered that in their decision. The Democrats say the contract, which was first reported by The New York Times, is an example of problems within FEMA similar to problems with the federal response to Hurricane Katrina. "It appears that the Trump Administration's response to the hurricanes in Puerto Rico in 2017 suffered from the same flaws as the Bush Administration's response to Hurricane Katrina in 2005," Democrats on the House Government Oversight and Reform Committee wrote in a letter demanding FEMA officials explain how and why it canceled contracts related to hurricane response. "One of the primary reasons FEMA failed to deliver these meals is because it inexplicably awarded a contract worth approximately $156 million to deliver 30 million emergency meals to a tiny, one-person company with a history of struggling with much smaller contracts," Democrat Elijah Cummings, D-Md., wrote in the letter. The committee letter lists five previous government contracts with Tribute from 2013 and 2014 that were cancelled "for default" or for inability to deliver the products ordered in the contract. One of those contracts was with the Government Printing Office which issued a decision in 2016 that "no agency in the executive branch" would enter contracts with Tribute until 2019. But FEMA said in its statement that exclusion only applied to GPO. Brown told committee staff that she proposed supplying the meals at the lowest cost, according to the letter, and that she "worked 24 hours a day, 7 days a week" to fulfill it. She also told committee staff that FEMA knew she would use subcontractors to produce and deliver the meals. "It is difficult to fathom how FEMA could have believed that this tiny company had the capacity to perform this $156 million contract," Democrats wrote in the letter. "There have been numerous examples of disastrous contracting decisions by agencies that selected the lowest bidder without conducting an adequate analysis of the company's ability to deliver on the contract." (Carlos Giusti/AP) Department of Homeland Security personnel deliver supplies to Santa Ana community residents in the aftermath of Hurricane Maria in Guayama, Puerto Rico, Oct. 5, 2017. Cummings and Plaskett are asking for the committee to subpoena FEMA and the Department of Homeland Security for documents related to the Tribute contract but also all documents related to contracts that have been cancelled or are in default that are related to hurricane response in Puerto Rico and the U.S. Virgin Islands. A FEMA spokesman said in a statement to ABC News on Wednesday that the contract with Tribute was terminated "when it became clear the vendor couldn't meet requirements." 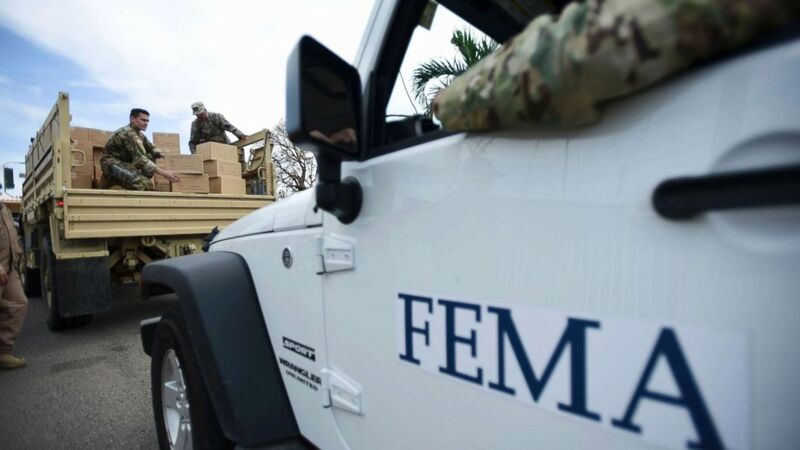 Language in its contract with Tribute allows FEMA to cancel at any time if Tribute defaults on the contract but also for the government's "sole convenience." FEMA said in a statement Wednesday that it has delivered more than 60 million meals to Puerto Rico as part of hurricane response and that there were ample supplies in the pipeline when the Tribute contract was terminated. FEMA and the Puerto Rico power authority drew fire last year for awarding a $300 million contract to restore electricity to a small company from Montana and ultimately canceled the contract after concerns were raised about the company's prices, how the contract was granted and whether the company was able to complete the work. 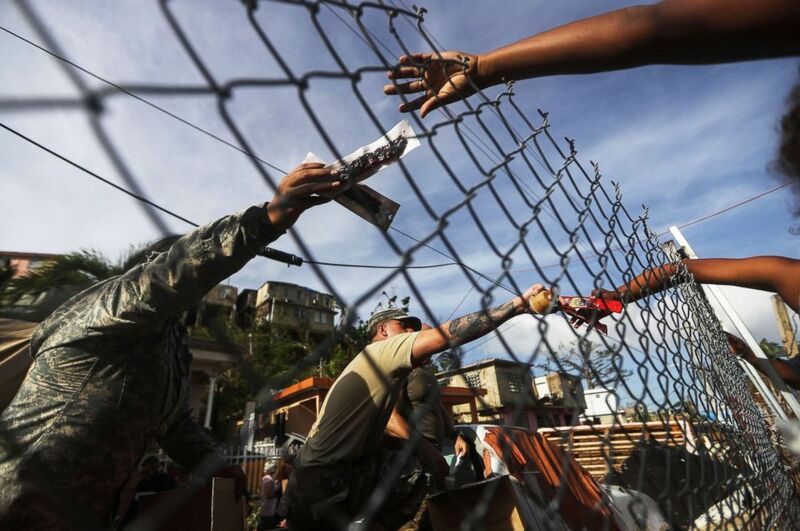 (Mario Tama/Getty Images) U.S. Army soldiers pass out food provided by FEMA to residents in a neighborhood without grid electricity or running water, Oct. 17, 2017, in San Isidro, Puerto Rico. The latest controversy is detailed in dozens of pages of emails and documents provided to ABC News showing the back-and-forth that led FEMA to terminate a multi-million dollar contract for badly-needed meals in the midst of its response to the hurricane that devastated Puerto Rico and the U.S. Virgin Islands. The company hired to produce the meals for FEMA, Tribute Contracting, LLC, is listed as a consulting firm on a website listing the company as one of several businesses run by Brown. FEMA said it terminated the contract with Tribune after just 50,000 meals were delivered because they arrived late and didn't meet requirements that the meal and heating component be combined in a single package. But Brown says that FEMA knew about the changes in the schedule and that not only were requirements for the meals not specified in the contract but that FEMA officials were aware she planned to send meals and heating components separately. She said she thought FEMA would give her a chance to correct the problem. "It was jarring to me that it was being terminated at all," Brown said. The meals were sent to Jacksonville, Fla. for FEMA to take to Puerto Rico, according to a copy of the contract Brown provided to ABC News. The contract called for all 30 million meals to be provided by October 23, but Brown told FEMA officials in an email exchange on Oct. 19 that, because of issues with suppliers, all 30 million meals would instead be delivered by November 7 - two weeks after the deadline. She told ABC News on Friday that the original schedule in the contract was flexible and that she had been communicating with FEMA officials about the changes. After Brown notified FEMA in the Oct. 19 email that 36,000 meals were en route - with the meals packaged separately from the heating component - a FEMA official told her that was not acceptable and told her not to deliver the meals. "This is a logistical nightmare," the official wrote in an email to Brown informing her the contract would be terminated. 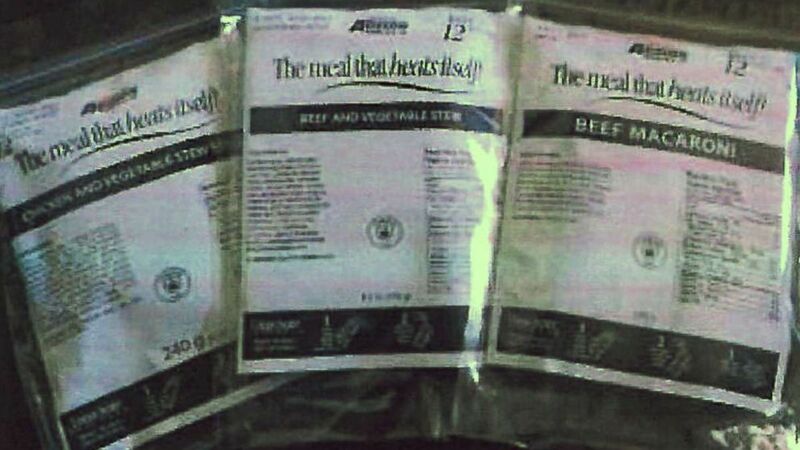 Brown said Friday that FEMA knew she never intended to package the meals and heating components together. She's filed a complaint with the Department of Homeland Security inspector general alleging that the real reason FEMA cancelled is the dispute over whether the meals were "self-heating meals" as called for in the FEMA contract and not the delay. Brown has also appealed the contract cancellation and is seeking a settlement of at least $70 million. She says she wants to make sure the other companies she hired are "made whole" and are able to pay the debt they took on to fulfill the contract for $30 million. When asked about details of the contract dispute, FEMA told ABC News on Wednesday it would be inappropriate to comment on a pending appeal. (Tribute Contracting, LLC) A photo in Tribute Contracting, LLC's contract with a catering company show examples of self heating meals that include a meal in one pouch with a food heater, water pouch, cutlery, and seasonings. 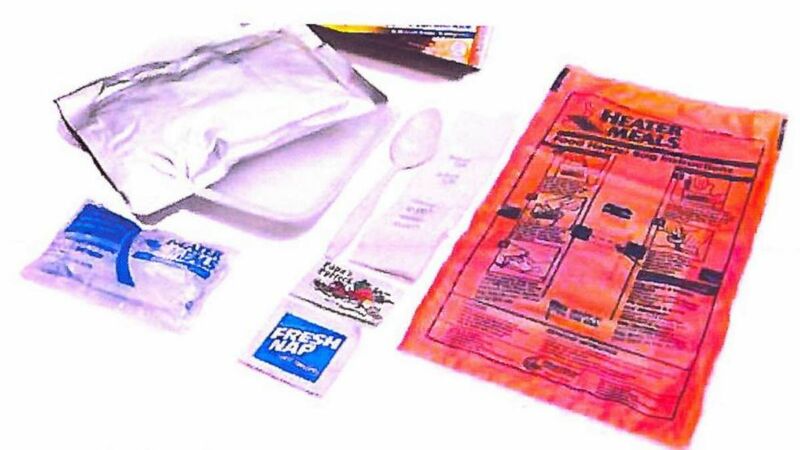 The meals FEMA told Brown not to deliver were supplied by a nonprofit subcontracted by Tribute called Breedlove, which provides food for humanitarian relief. Breedlove signed a contract with Tribute on October 13 to provide 828,000 of the 30 million meals requested by FEMA. Breedlove's CEO Bill Miller told ABC News that they do not produce self-heating meals and that a heating component was not part of their contract with Tribute. Brown said that the entire conversation around her contract is not about how her company was vetted, but about the way FEMA handles these contracts by paying for meals or supplies on delivery instead of up front. She said she tried to get larger companies involved but they would not enter into an agreement without payment up front. "I don't want this to turn into a narrative about small businesses being able to collaborate with each other, that's not what this is about," Brown said. "What it's about is a lack of infrastructure, particularly payment infrastructure on FEMA's part to provide support for a contract of this magnitude to move forward. There are no magic fairies of financing that will provide that." Brown said she knows what it's like on the ground after a disaster because she lost family members in Gulfport, Miss. after Hurricane Katrina. She said she and the other small businesses she worked with were excited to help the people of Puerto Rico. "I think there's a lacking of seeing the human aspect of everyone, the human aspect of the citizens of Puerto Rico and how they feel, the human aspect of the business owners trying to support them just trying to help out maybe that doesn't have the larger infrastructure but out of the kindness of their own heart they want to be able to help they're not seeing the human aspect they're only seeing a lowest possible bid or trying to meet a budget and not about the people," Brown said Friday. "And I really want it to be about the people."